How Can I Get a New Driveway Cut Through the Curb? The driveway entrance is the responsibility of the individual property owner. A permit will be required for construction activities and is available through the Department of Planning and Community Development. Proactive zoning is a way for the City to help maintain the health, safety and general welfare of City residents. The Planning and Zoning Division has laid the City out into 36 sections/neighborhoods, and on a prescribed schedule, inspections are performed on neighborhoods. Any owner of a property found in violation of the Zoning Ordinance is notified and given 10 or 30 days, depending upon the type of violation, to bring their property into compliance with the Zoning Ordinance. What is Considered a Zoning Violation? A zoning violation is when a property does not meet the regulations as governed in the Zoning Ordinance. The most common zoning violations in the City are inoperable vehicles, occupancy, and junk, trash and discarded materials (some junk and trash violations may be enforced by the Department of Public Works). Operating a use that is not permitted in a specific zoning district is also a violation. The City's Zoning Ordinance is designed to list permitted uses; if a use is not listed, it is considered not permitted. For a complete description of permitted uses in a particular zoning district refer to the Zoning Ordinance. How Do I Let the City Know If I Have a Zoning Concern? 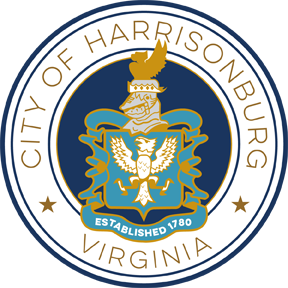 If you think a property is in violation of the Zoning Ordinance, you can contact the Planning and Zoning Division at 540-432-7700. How Many People Can Live in My Dwelling Unit? The number of people who can live in a dwelling (also known as its occupancy) varies by district; please refer to your specific zoning district in the Zoning Ordinance. Before purchasing property or signing your new lease agreement, check your zoning district's allowed occupancy. Violation of permitted occupancy could lead to eviction from the property. If there are questions about your occupancy, contact the Planning and Zoning Division at 540-432-7700. What is Considered a Family? A family is defined as one or more persons occupying a dwelling and living as a single housekeeping unit, all of whom are related to each other by birth, adoption or marriage. Any building or land that is lawfully in use, and in which the zoning district changes or the zoning text is amended, and the building or land no longer adheres to the regulations of that new district. Often this situation is referred to as "grandfathered," however the correct terminology is non-conforming. Can a Nonconforming Use Continue? In the event that a nonconforming use of any building or premises is discontinued or its normal operation stopped for a period of 24 consecutive months or more, the use shall conform to the regulations of the current district in which it is located. A nonconforming use shall not be extended, enlarged, reconstructed or structurally altered, except when the enlargement does not compound the existing violation. What Signage Can I Place on My Business or Residential Property? Allowable signage is calculated differently depending on the zoning district. Sign regulations are not part of the Zoning Ordinance but rather part of the Building Code Regulations. For a detailed description of allowable signage refer to the Sign Ordinance or call the Planning and Zoning Division at 540-432-7700. What is Community Development Block Grant (CBDG)? The CDBG program is a block grant given by the US Department of Housing and Urban Development (HUD). The program is authorized by the Housing and Community Development Act of 1974 in place of several community development categorical grant programs. CDBG provides eligible metropolitan cities and urban counties (called "entitlement communities") with annual direct grants that they can use to revitalize neighborhoods, expand affordable housing and economic opportunities, and/or improve community facilities and services, principally to benefit low- and moderate-income persons. The grants are available, by application, to programs that directly benefit low to moderate income populations. For more information about CDBG, please visit CDBG page.